1. As usual, I started off with a base coat (Sally Hansen Double Duty) and only 1 layer of coating alternating between the light pink (Headline Colors) shade and the neon pink (nails inc) shade. 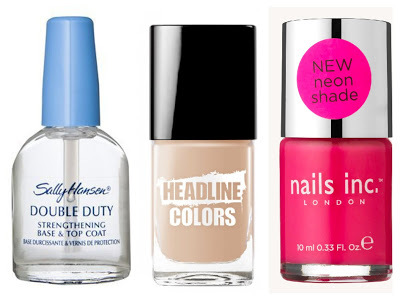 I got both the pink polishes from the beauty boxes mentioned in earlier posts; it’s good to try them out. 2. After the first layer has dried, I applied a second layer of colour and stuck the shredded packaging paper on while it’s sticky. Unless you are very good with nail art it’s safest to do one finger at a time. Wait until it dries, then apply top coat and clean up like you would do normally. You might need a very small scissor to cut off the black end bits to size. Result: I originally thought the black paper will peel off very easily but I’m surprised by the fact that it lasted for longer than the nail polish itself. The nail polish started chipping after 2 days but none of black strips has fallen off. It also act as a barrier preventing the nail polish from further chippings. It’s like a composite material where you have the matrix (polish) and the fibre (black strips) in which the fibre acts as crack arrestors. 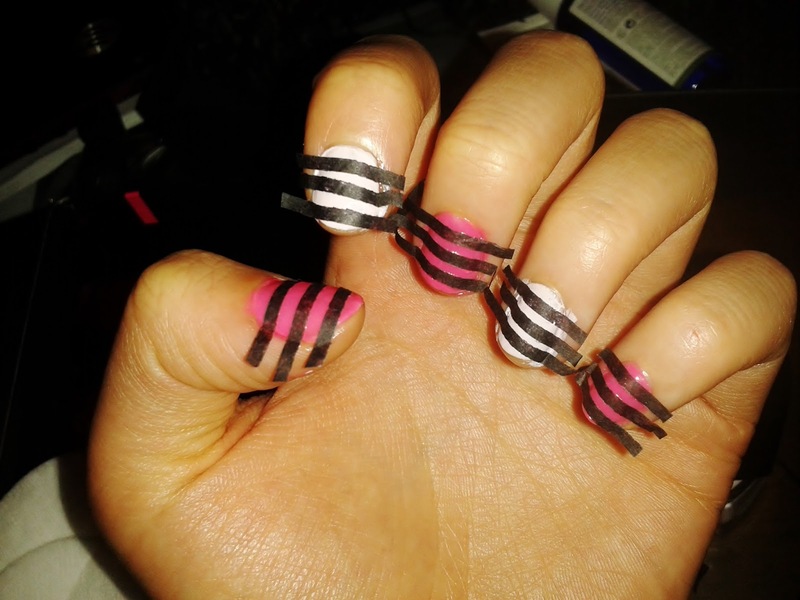 I think this a simple way of creating stripy nails without having to paint the stripes or use sellotape.